The Weihenstephan sports bag convinces with a variety of compartments. It has a large main compartment with a plenty of storage space and in addtion three side pockets. The bag features practical hand-grips with padding. The carrying strap is adjustable and also provided with a padding. 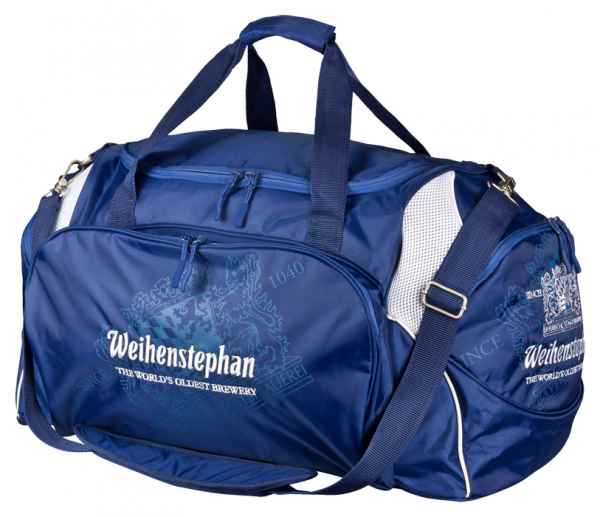 The Weihenstephan logo and lettering on the front complete this bag perfectly.